Even just looking at this picture is making me hungry! Great pasta. Really tasty. I highly recommend this pasta. 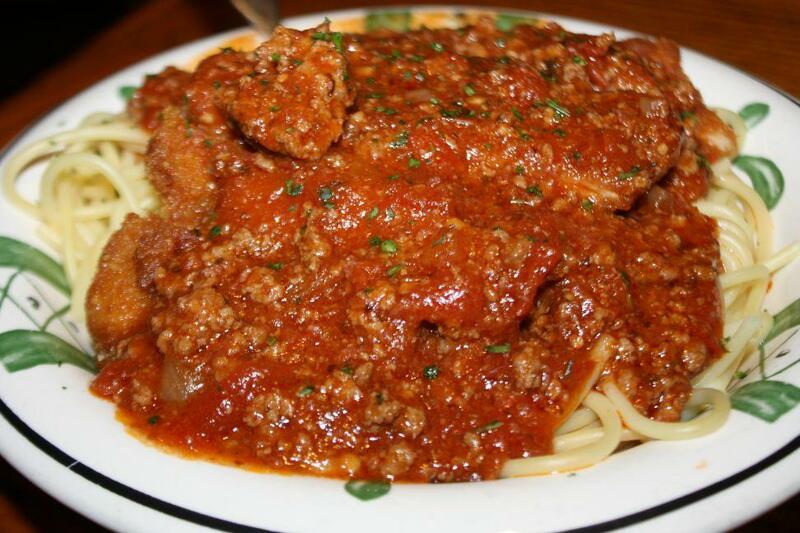 Pictured here is Spaghetti With Spicy Three Meat Sauce and Chicken Fritta, which I enjoyed eating.